You are here: Home / Holidays / Merry Christmas! I hope y’all have a very Merry Christmas today – enjoy your family and friends and remember why we celebrate. 2 In those days a decree went out from Emperor Augustus that all the world should be registered. 2 This was the first registration and was taken while Quirinius was governor of Syria. 3 All went to their own towns to be registered.4 Joseph also went from the town of Nazareth in Galilee to Judea, to the city of David called Bethlehem, because he was descended from the house and family of David. 5 He went to be registered with Mary, to whom he was engaged and who was expecting a child. 6 While they were there, the time came for her to deliver her child. 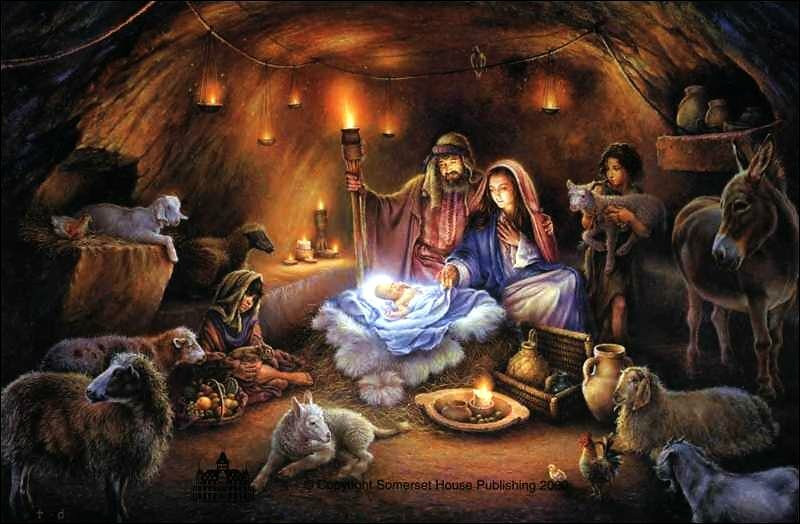 7 And she gave birth to her firstborn son and wrapped him in bands of cloth, and laid him in a manger, because there was no place for them in the inn.